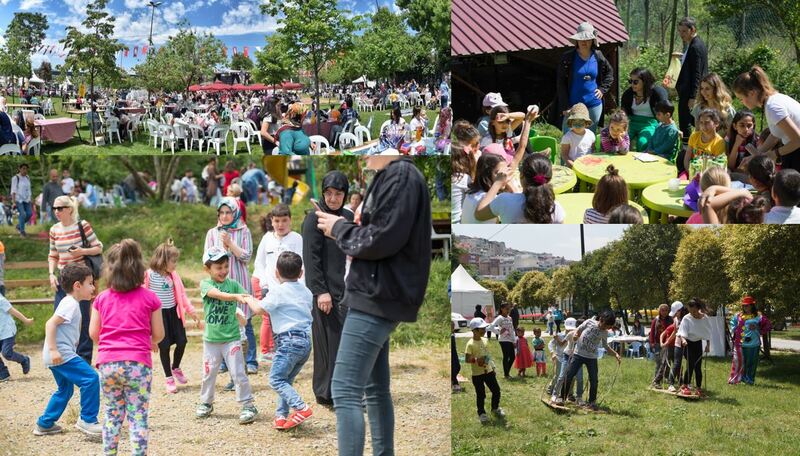 Partner municipalities of Istanbul95, Beyoğlu, Maltepe, Sarıyer and Sultanbeyli, organised family picnics for Mother’s Day on Sunday 13 May. The picnics were combined with games and concerts for children and families, alongside workshops for parents on topics related to child development, reading, nutrition and play. This proved to be an effective way to communicate the importance of parent-child interaction. The picnics also allowed collaboration among various municipal departments involved in organising. The Istanbul95 programme includes work on public spaces and parent support, and this activity combined the two components.